Mikami Satoru, a businessman, is stabbed by a criminal on the street and killed. 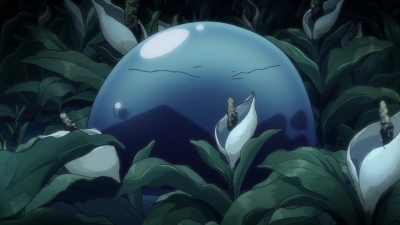 When he regains consciousness in the darkness, he finds that he's been reincarnated as a slime. With nothing better to do, he spends his time devouring all the rare herbs and precious ores he comes across. As he does, he encounters the Storm Dragon Veldora, who was sealed in this cave 300 years ago by a hero's "Unlimited Imprisonment" skill. He's frightened at first, but as they talk, he becomes friends with the long-isolated Veldora.